Laid down in 1943-44 as a Maritime Commission type (C1-M-AV1) hull, under Maritime Commission contract (MC hull 2113) at Walter Butler Shipbuilders, Inc., Superior, WI. Decommissioned, 31 January 1946, at Norfolk, VA. 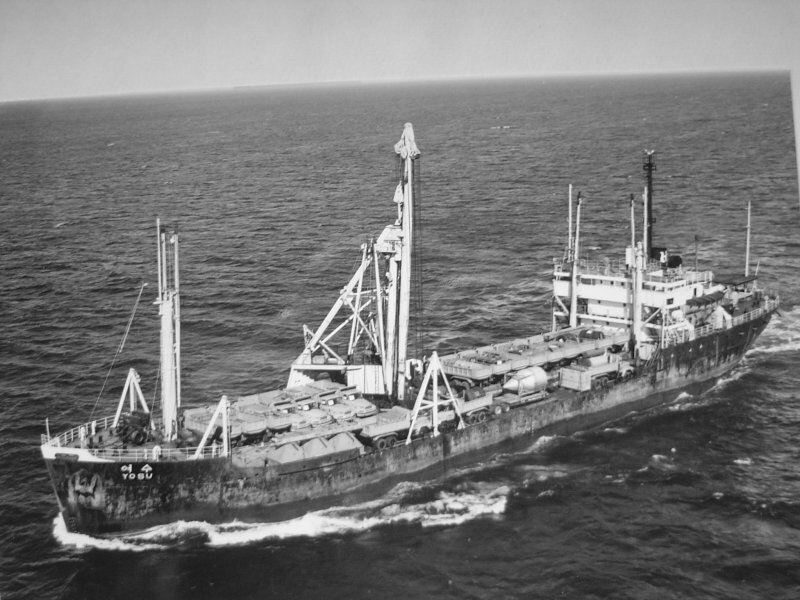 Returned to the Maritime Commission, 1 February 1946, for lay up in the National Defense Reserve Fleet, James River, Fort Eustis, VA.
Re-purchased by the Maritime Administration, 23 May 1955, at Seattle, WA. 97k Ex-USS Gadsden (AK-182) underway in merchant service as the Korean flagged MS Yosu in the Malacca Strait, circa 1970s. Dictionary of American Naval Fighting Ships .